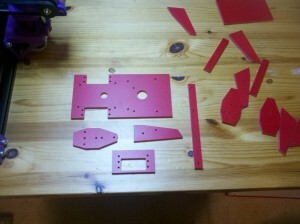 >> I discovered that the original plans were flawed; there is not enough clearance for some nuts. I designed perfectly to a poor schematic. No tool can fix that! Unfortunately, that’s my opinion for much of the material in McComb’s book. Its still a fun book though, and I’ve had lots of fun times trying stuff out. 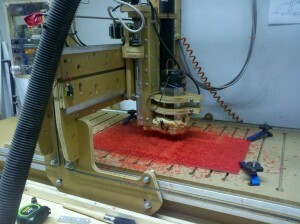 Glad to see you’re getting somewhere with your CNC Router! I’ve just built my first router and have been having a good time learning how to use it.